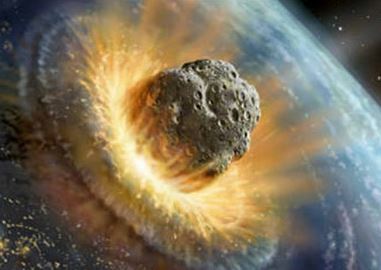 NASA insists that the agency knows of “no asteroid or comet currently on a collision course with Earth”, and that “no large object is likely to strike the Earth any time in the next several hundred years”. To be honest, NASA should perhaps hold off on making such bold statements concerning what will happen in the future considering the fact that the Chelyabinsk meteor that exploded over Russia in 2013 took them totally by surprise. In any event, what we do know is that our region of space is absolutely packed with meteors and asteroids. At this point, approximately 10,000 major near earth objects have been discovered by scientists, and about 10 percent of them are one kilometer or larger in size. If any of those big ones were to hit us, we would be looking at another Tunguska event or worse. Very large meteors have struck our planet before, and they will hit us again. It is only a matter of time.